Cholesterol drugs can strain your budget. Brand-name statins like Crestor (rosuvastatin) can sell for more than $100 a month. But most drugs in the statin family come in cheaper, generic forms, and it may be beneficial to switch. They cost as little as $4 for a 30-day supply—offering substantial protection against heart disease for less than the cost of a daily vitamin. Vytorin is a name-brand combination of Zetia (ezetimibe) and simvastatin that lost its patent protection in 2017. Generic versions are expected. A large study found that people who took generic statins were more likely to adhere to taking them and had lower rates of heart attack, stroke, or all-cause mortality. One key factor in which statin is right for you is your level of LDL, the "bad" cholesterol. How low do you need it to go? "If somebody needs a moderate reduction of cholesterol, it is often safe to switch to something like simvastatin," says Joseph Miller, MD, clinical director of the heart health program at Piedmont Hospital in Atlanta. "Ten milligrams of Lipitor might translate to 20 or 40 milligrams of a generic statin." As patents expire, the newer statins become available in generic form. Lipitor was the most commonly prescribed statin and is available in the generic form, atorvastatin. Before atorvastatin debuted as a generic drug, simvastatin was the most potent generic and may be useful for people who need a 35 percent or greater drop in LDL cholesterol. Pravastatin may be an appropriate generic for people taking multiple medicines because it appears less likely to cause undesirable drug interactions. Choosing the right cholesterol medicine for your individual needs can be a complex decision best made by your physician. For some people, only a brand-name statin will do. 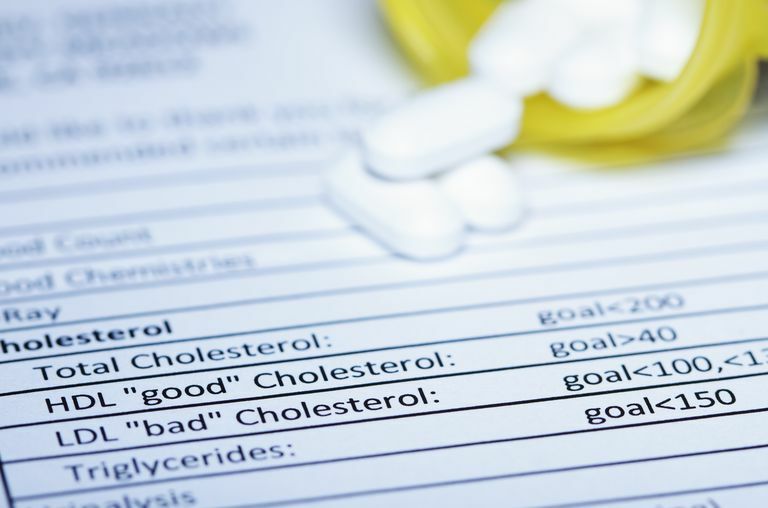 If you fall into a high-risk category for heart disease or have very high LDL cholesterol, you may require the most potent statins available, which may not be yet available in generic form. "One option that's potentially extremely cheap is niacin," says Alan Daugherty, Ph.D., a cardiovascular researcher at the University of Kentucky. Niacin can improve your entire cholesterol profile but must only be used with your doctor's approval and close supervision. Used wrong, it can worsen ulcers and lead to gout, high blood sugar, and even liver failure. Over-the-counter niacin supplements cost $15 or less a month. Prescription niacin is more expensive, but your health insurance plan may pay to pick up the tab. Boosting your intake of soluble fiber can lower blood cholesterol levels as much as 10 percent, Miller says. Oatmeal helps, as do special margarine, juices, vitamins and yogurts fortified with plant sterols. "If you're close to your goal on a generic drug, these other options can get you there," he says. Pharmacies often charge the same price for different doses, so many doctors will prescribe a stronger dose than needed and tell patients to split their pills. You get the dose you need at a lower cost. This is safe and widely accepted. What doesn't work is skipping doses or taking a drug "holiday" without your doctor's approval to save money. Your "bad" cholesterol will rise, and with it, your risk for a heart attack or stroke. When medicine costs are simply out of reach, people can try the Partnership for Prescription Assistance, which provides free medication to those in need. Daugherty, Alan, Ph.D. Personal interview. 20 Oct. 2008. Gagne JJ, Choudhry NK, Kesselheim AS, et al. Comparative Effectiveness of Generic and Brand-Name Statins on Patient Outcomes. Annals of Internal Medicine. 2014;161(6):400. doi:10.7326/m13-2942. Miller, Joseph I., MD. Personal Interview. 22 Oct. 2008. Rosenson RS. Lipid Lowering With Drugs Other Than Statins and Fibrates. UptoDate Inc. http://www.uptodate.com/contents/low-density-lipoprotein-cholesterol-lowering-with-drugs-other-than-statins-and-pcsk9-inhibitors. Updated March 20, 2017. Rosenson RS. Lipid Lowering With Statins. UpToDate Inc. http://www.uptodate.com/contents/statins-actions-side-effects-and-administration. Updated November 15, 2017.